My complimentary author copies arrived on Monday. I guess this is it! 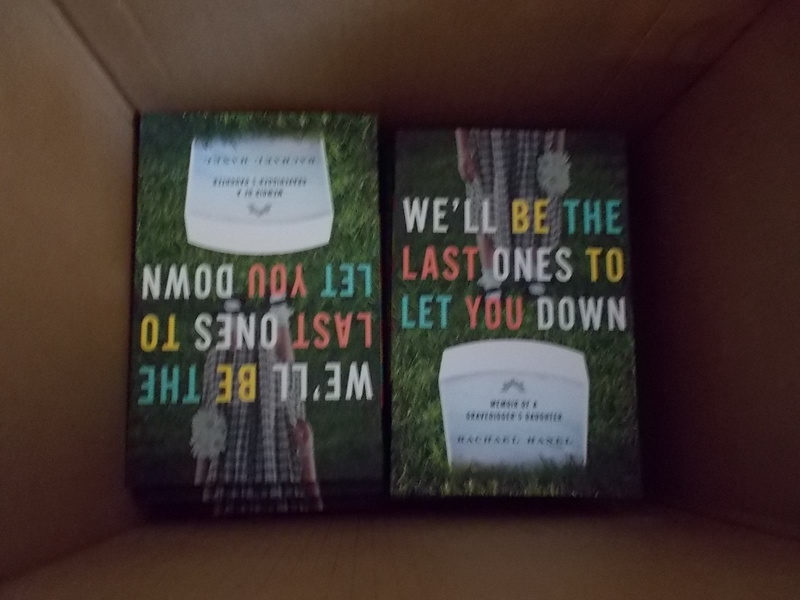 Launch week for We’ll Be the Last Ones to Let You Down. I’m starting to hear that the book has arrived in some mailboxes for people who pre-ordered through online bookstores. People who know me, or people who grew up in Waseca, seem to want to blast through it right away, ha! I got a book to my sister-in-law around 3 or 4 p.m. Tuesday and received a text from her at 9:30 p.m.–she had finished it! The book is around 200 pages. So if you read at a decent speed, it should take about four or five hours to finish. If you’re looking for the book but you don’t see it at your local bookstore, please inquire! In a post from a couple of months ago, I explained how in-store inquiries can really help spread word of mouth, especially for authors at small presses. For the next few weeks, I’ll be doing about one book-related event per week. I’ll be in Waseca, Mankato, St. Paul, Brooklyn Center, St. Peter, and Winona. I hope to do a larger regional tour starting in the fall. See my website for event details. If you’ve picked up the book already or plan to, I really appreciate your support!! I sincerely thank you. My husband and I will be in the Cities next Thursday through Sunday visiting our daughter. Will you be doing any book related events around the Cities during that time frame? Unfortunately, no! I will be in Brooklyn Center on Wednesday afternoon, but my next visit to the metro isn’t until April 10. I got an email yesterday that mine is on the way!